One of my major reasons for wanting to read Brian Azzarello’s Joker is that I’m a fan of Harley Quinn. A friend described the portrayal of the usually bouncy and obnoxious character and I was immediately intrigued. 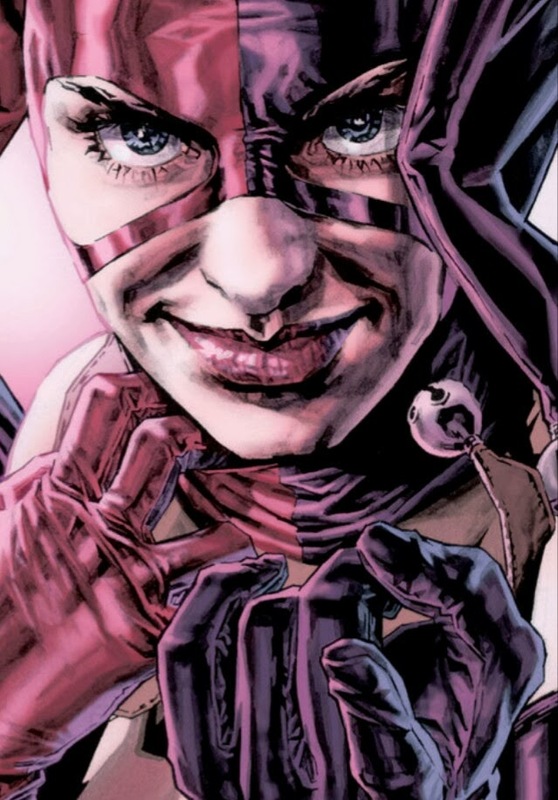 She doesn’t appear often, and when she does, she is utterly silent and not at all bouncy, but every appearance is powerful and solidifies her place at Joker’s side. Not as his crazy, obsessed girlfriend who tolerates his abuse because she is crazy and obsessed, but as his partner. 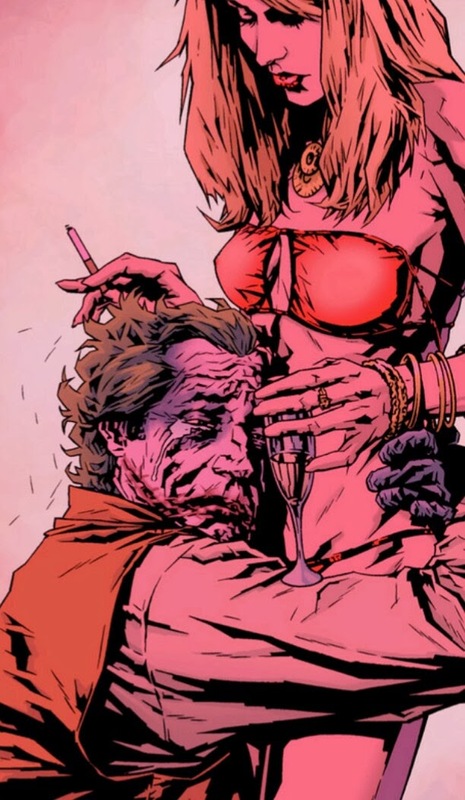 Where she was once the needy one in an cruel relationship, this depiction makes her Joker’s equal, with one moment implying just how much he needs her in his life. I love this book for Harley alone, but, as per the title, this is about the Joker first and foremost. It begins with Azzarello confirming Arkham Asylum’s questionable revolving door policy by releasing Joker with absolutely no explanation. Joker’s first priority as he gets into the car with Jonny Frost is to take back control of his assets from all those who had divvied up his turf and funds during his incarceration. Jonny has a few problems of his own, but catering to the Joker’s whims, unsurprisingly, takes priority. The result is a brutal, mayhem-filled romp through Gotham as the Joker hunts down his prey. But the beauty of this book is that Azzarello does not give us a giggling, insane Joker. “I’m not crazy anymore, just mad,” he explains to Jonny, who spends the book trying to understand the man. I am not a fan of writers who simply excuse antagonists as “evil” and “crazy.” Given the amount of research in and awareness of mental health problems these days, I consider it lazy writing. Even if something is not working quite right in their heads, villains are still people and I love stories that give us their humanity, even if what we see is still deplorable. Azzarello’s Joker even goes so far as to meticulously pick apart the mental states of his adversaries, including wonderful scenes of his dealings with Harvey Dent. Plural. Right down to the scarred face, this is definitely Heath Ledger’s Joker, though where the movie failed to firmly connect the Joker with Batman, Azzarello makes it clear in just a few panels why the one cannot exist without the other and why the sick, twisted city of Gotham needs them both. 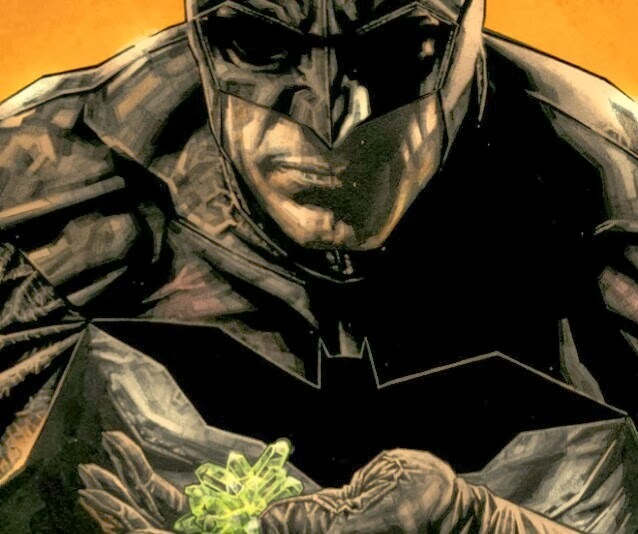 Upon finishing Joker, I learned that Azzarello and Bermejo had teamed up again on Lex Luthor: Man of Steel, another captivating character in the DC universe that is often poorly represented as simply a mad genius. Where Joker is violent and unpredictable, Lex Luthor: Man of Steel reflects its main character’s cold, calculating subtlety. 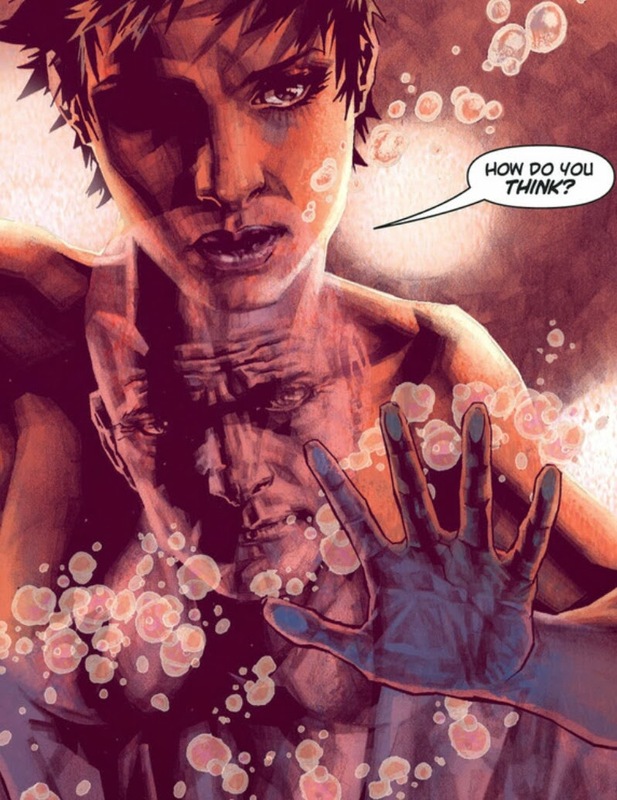 It lays out Luthor’s purpose right from the start, painting the undeniable picture of Superman as an alien. A monster with no understanding of humanity. Luthor despises the hero that Metropolis worships, but he is the only one who seems aware of how easily such a being could snap. In other words, that Man of Steel movie with the questionably violent Superman wreaking havoc and murdering bad guys in cold blood? That’s the Superman Luthor fears and wants to protect his city from. But Luthor is also intent on showing the world what Superman’s existence takes away from humanity. If Superman is there to do everything for us, what need is there for self-improvement? These aspects of Superman are touched on in my other favourite Superman story, Superman: Red Son. 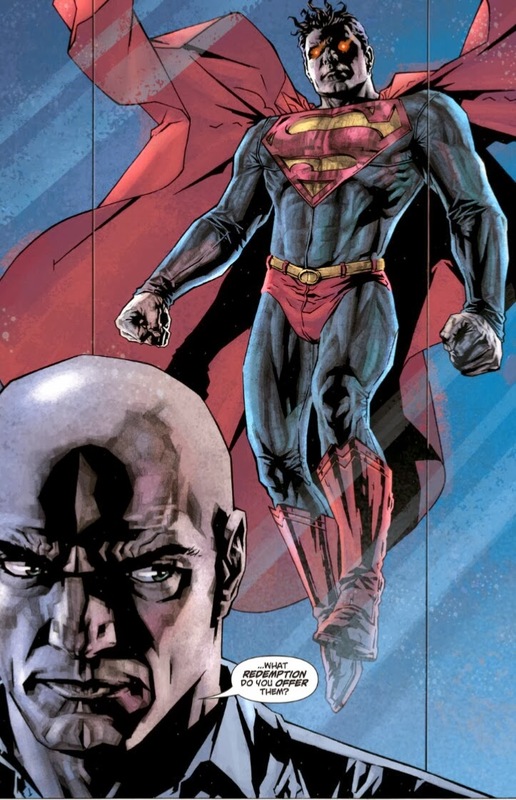 The latter focuses on Superman himself, while Luthor is on the other side of the world thinking up bigger and better ways to defy Superman’s reign of perfection. The only problem I have with Red Son’s Luthor is that he is too cold and inhuman. Azzarello ensures that you never forget Luthor’s humanity as he works toward his ideal, which takes the form of a manufactured superhero Luthor aptly names, “Hope.” Luthor’s story culminates in his ultimate success and his ultimate failure in the most perfectly atypical way. When I initially glanced at the issues of this series, I joked about Batman’s involvement since Bruce Wayne seems incapable of staying out of other people’s books. Yet it was when Luthor meets with Bruce Wayne to negotiate a business arrangement that this book went from five stars to simply delicious for me. Because if there is anyone who would appreciate Luthor’s hatred of Superman, it’s Bruce Wayne. The interactions between them are so intricate and delectable as they speak to each other in an intimate dance of words that reveals just how brilliant these two men are.